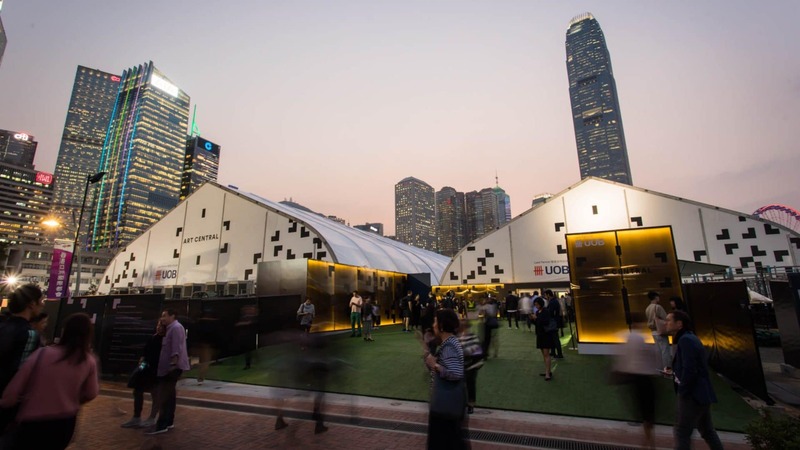 Returning for the fifth edition, 107 international galleries, art-loving sponsors and some of Hong Kong’s most exciting eateries are all converging under Art Central’s signature white tent during Hong Kong’s biggest week of art. The fair opens at Central Harbourfront on 26 March for VIPs and with extended public opening hours for First Night celebrations. Here’s what you don’t want to miss while you’re there. 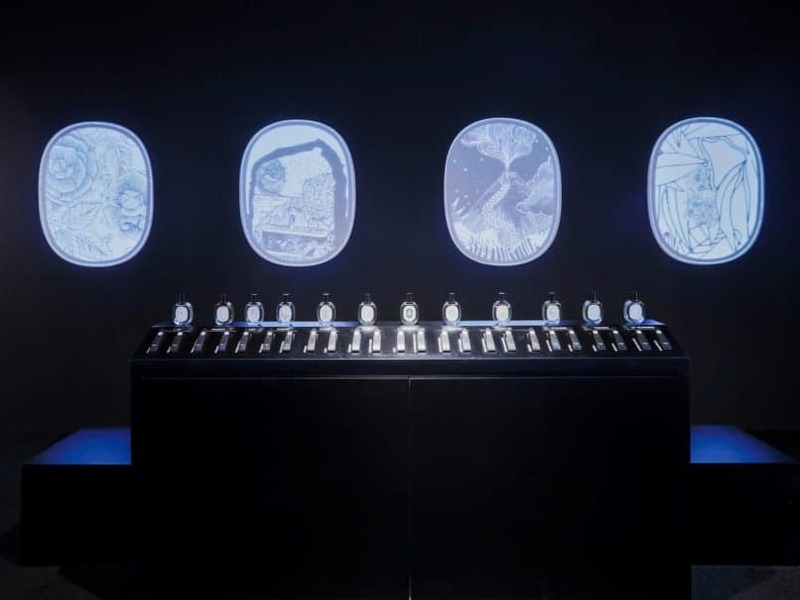 Now considered an Art Central mainstay, returning as official fair partner is Swarovski, which presents a commissioned work by the venerated designer Steve Leung for this edition. Leung’s “Shades in Ascent” is a breathtaking sight for all visitors approaching the entrance, reminiscent of fabled oriental villages with infinite floating lanterns that drench the scene in shimmering light — all thanks to the use of 52,800 Swarovski crystal beads. Projections influenced by ancient shanshui ink paintings are shone onto the floor as the finishing touch to a magical portal opening up to the fair. The three-story gallery giant will be proudly holding court as the largest booth at Art Central, extending its exhibition of works by David Kim Whittaker at its Wyndham Street space to a group show at the booth. Not only will you find exceptional pieces by the transgender artist — poignant portraits bringing together memories and fables — you’ll also find masterpieces by artists including Yoshitomo Nara, dizzying portraits by Andy Denzler, Spanish sculptor Manolo Valdés and pieces by Marc Chagall and designer Yves Klein, as well as a first-time showcase of a special installation by Joe Black. Opera Gallery’s curated collection will be truly international, as is the offering at the fair each year. 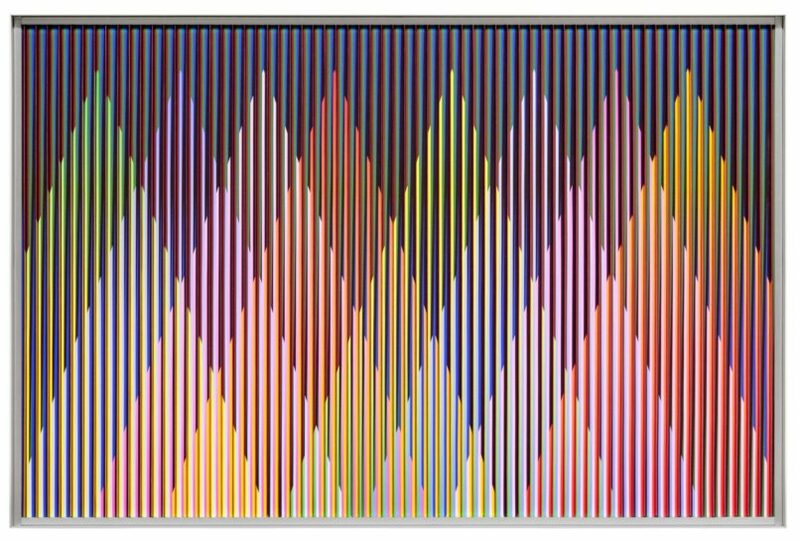 For Art Week, the city’s foremost Latin American art gallery Puerta Roja is presenting “Visions in Motion” — an Op and Kinetic art showcase at the Sai Ying Pun gallery, and is extending its curation to its booth at Art Central. All about eliciting an illusion of movement for the viewer, see gorgeous multichromatic works by the 95-year-old Franco-Venezuelan master Carlos Cruz-Diez, alongside paintings and sculptures by contemporary artists such as Javier León Pérez, Marîa García-Ibáñez, Mariano Ferrante, Fernando Prats, as well as Laurent Martin ‘Lo’, whose bamboo work stole the show last year. For a fantastic presentation of Hong Kong-based talent, head to Contemporary by Angela Li for a group show of gallery-represented artists. 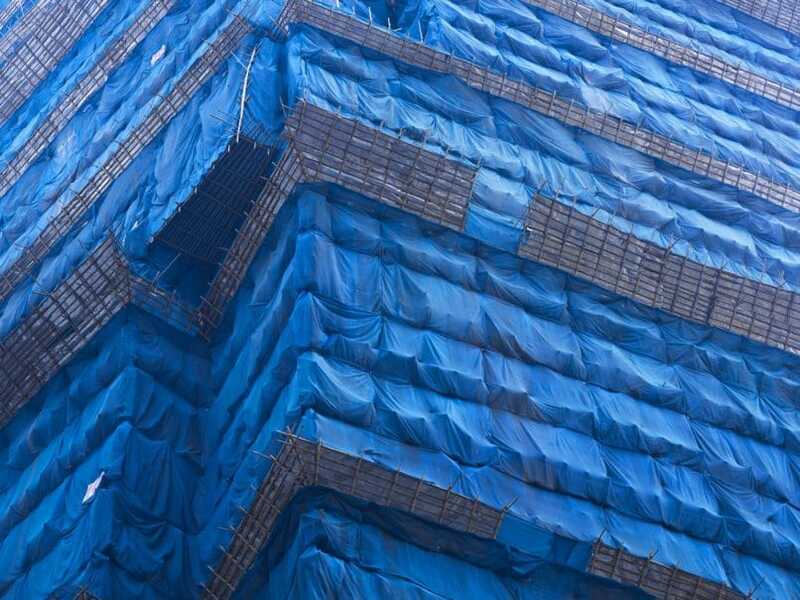 From the visceral textures of Lv Shanchuan’s thickly applied paint to Jacky Tsai’s macabre yet witty cartoon scenes, to jewel-toned portraits of Hong Kong scaffolding by Peter Steinhauer, these are gorgeous snapshots of the wide-reaching creativity in Hong Kong. Gallery artists Angela Yuen and Cheuk Wing-nam are also represented in the fair’s PROJECTS sector dedicated to cutting-edge installations. 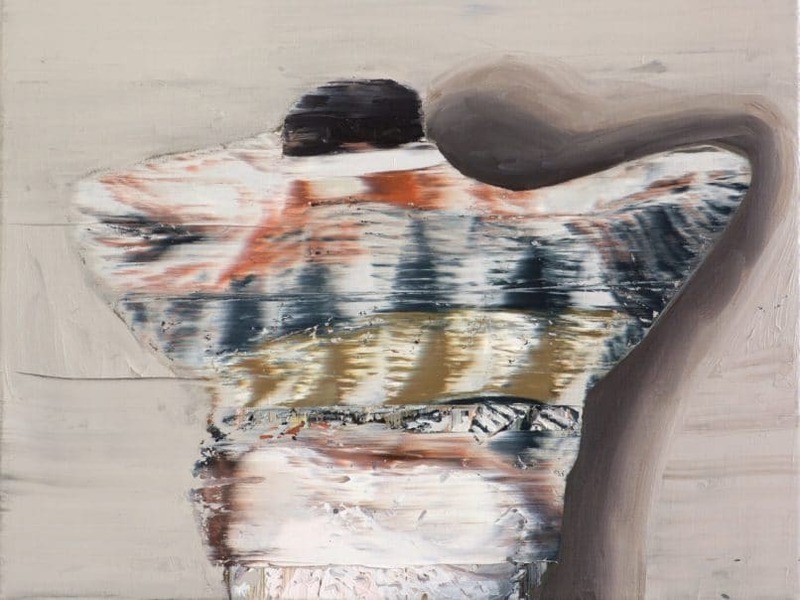 There are 32 new gallery joiners to the fair this year, and one such is Hong Kong newcomer Soluna Fine Art, which represents mainly Korean artists and craftsmen who are dedicated to modernising themes of traditional heritage. 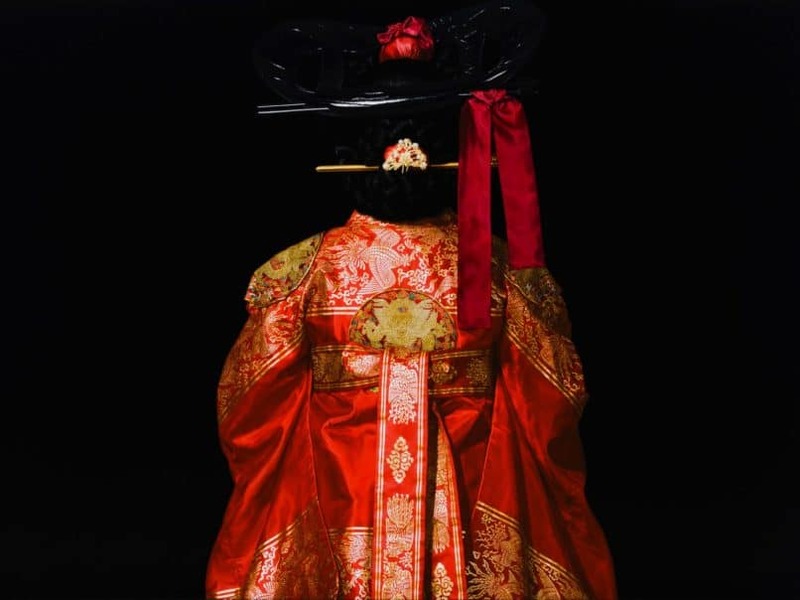 Out of an array of works by prominent Korean artists on show, check out uber-realistic paintings by Jeong Myoung-jo, who places a detailed focus on the beauty of traditional Korean clothing. The Performance x 4A sector, curated in collaboration with the 4A Centre for Contemporary Asian Art, is always a strong highlight of Art Central. 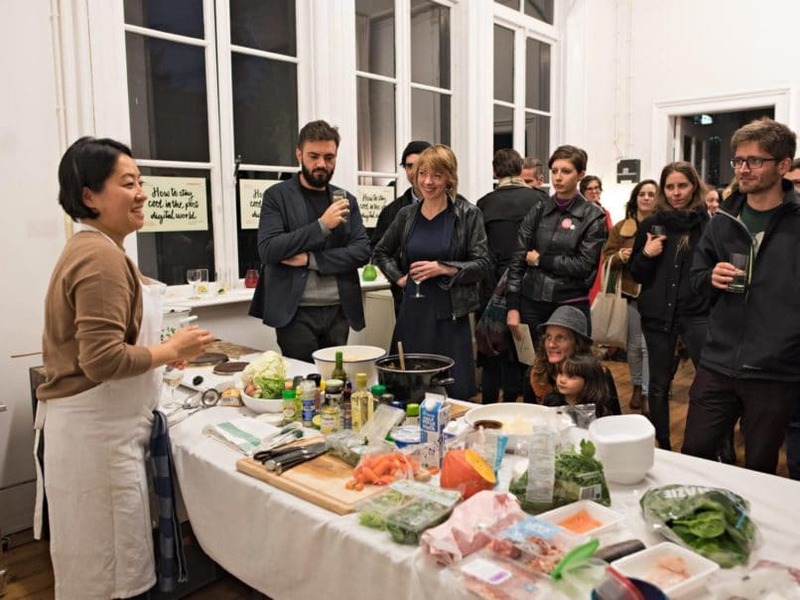 If you’re an “art imitates life” fan, Korean artist Minja Gu’s performance will be one to watch: Continuing on from a previous project, Gu’s commission sees her adopting the persona of a cooking infomercial host. As she teaches the audience to prepare a two-minute instant noodle packet, Gu sneaks in conversation about food culture and the societal pressure to conform. Through instant noodles, she hopes, one can navigate the politics and processes of Hong Kong of which she is an outsider. If the absurd poetic quality of films such as Casey Affleck’s “A Ghost Story” (in which the protagonist experiences grief and heartbreak as a white-sheeted ghost for much of the film) tickles your fancy, Brian Fuata’s traversing performance ‘ghost’ will surely be one to look for. 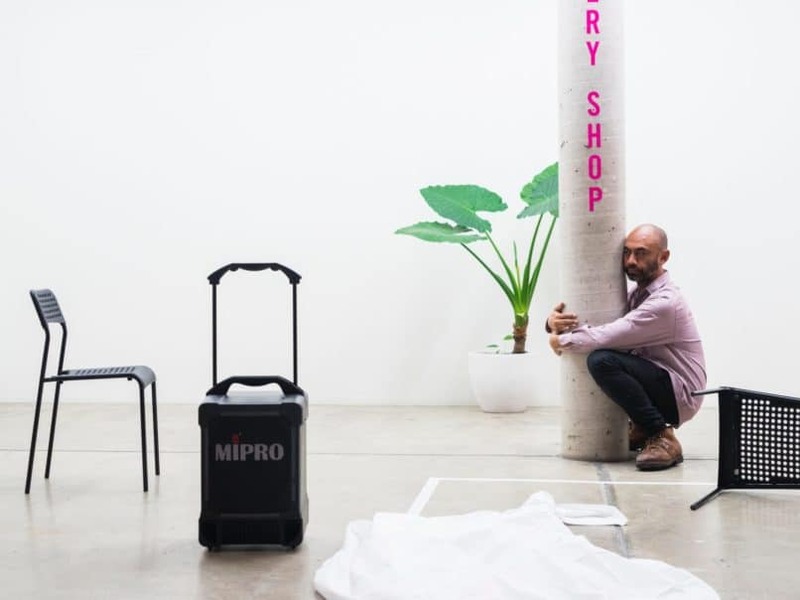 The Sydney-based Samoan writer and performer infuses deadpan humour into his act, combining bedsheets and mineral water as ingredients for an artistic set to challenge the conventions of performance. Partnering up with Art Central for the first time, Diptyque’s candles and fragrances are beloved the world over not only for their unique scents, but also for their abilty to evoke the most gorgeous landscapes. Constantly working closely with art and design, Diptyque’s booth features themed paintings that help tell the story of aromas that are unique to the house. Art Central’s F&B programme each year is more exciting than the last, and apart from some of Hong Kong’s best-loved eateries decking out outdoor eating space The Terrace, there’s also an all-new pop-up restaurant, Scarpetta by chef Daniele Sperindio. 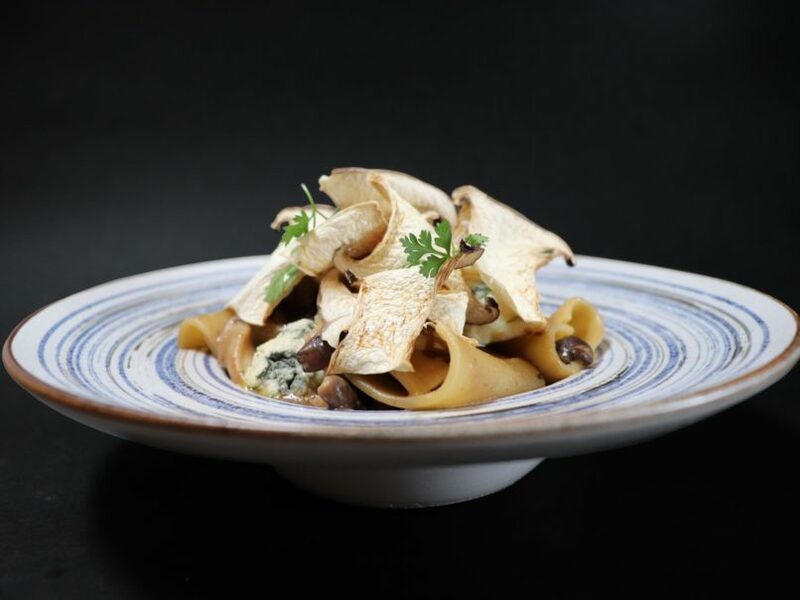 Boasting contemporary Italian fare playing with international flavours, one of the signature dishes during the fair includes eggy, fresh-made tagliatelle with mud crab and Thai red curry sauce. In The Terrace for more no-frills eats, look forward to the likes of Samsen, Chilli Fagara, West Bay Kitchen and Bar, Beef & Liberty, Bread & Beast, and Brickhouse. G.H. 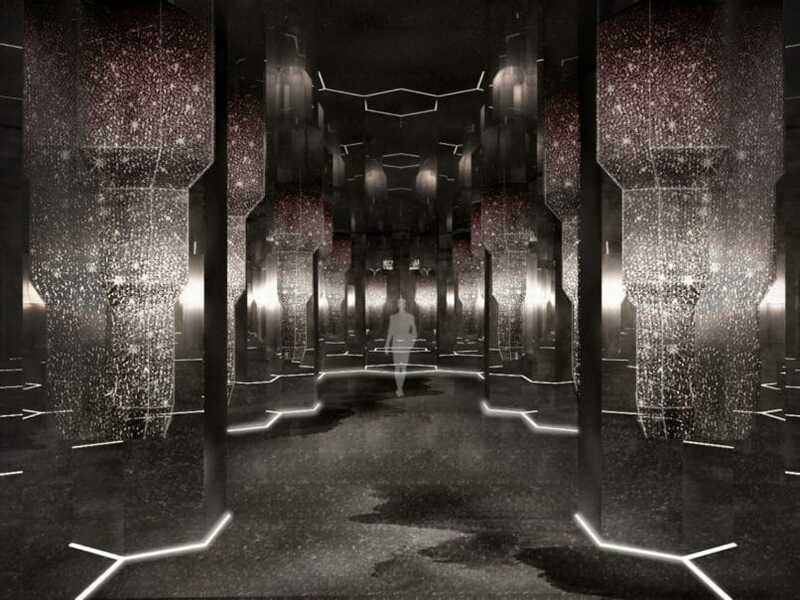 Mumm is once again the esteemed champagne partner for Art Central, and this year apart from hosting the kickoff celebrations at their Mumm Harbour Party, they’ve also installed a stunning new lounge inspired by the stars. 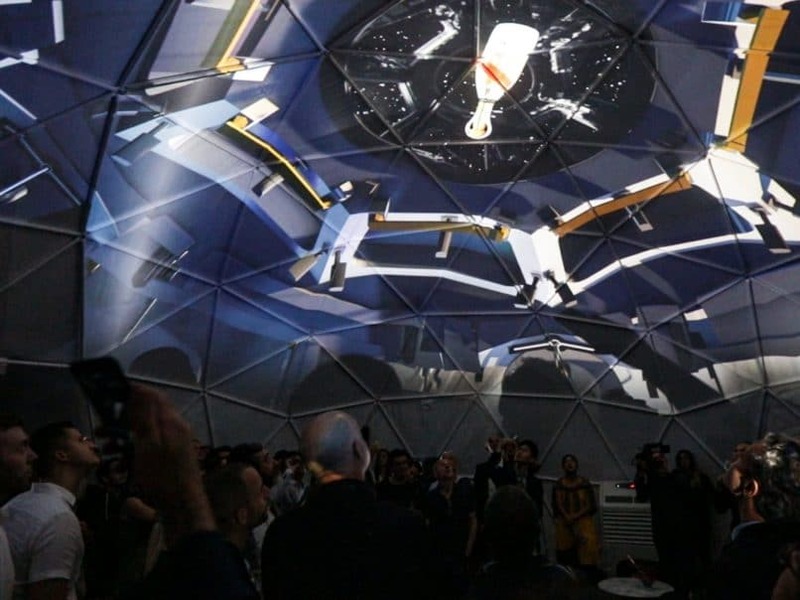 Reflecting on the launch of the Grand Cordon Stellar bottle, the very first champagne designed for astronauts to sip in space, the Mumm Grand Cordon Stellar lounge features themed photo stations, live DJ sessions, and the chance to try your hand at sabrage.